SEOUL, June 27 (Yonhap) -- "South Korean star singer-actor Jang Keun Suk will launch his annual Asia tour this weekend", his talent agency said on Monday. 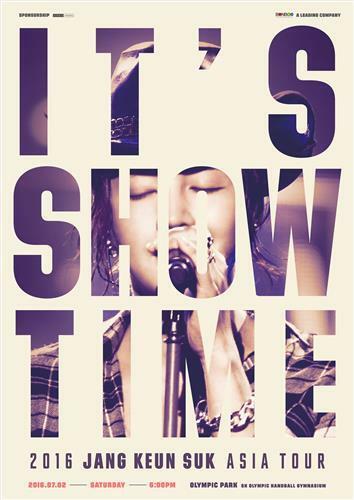 The 28-year-old hallyu star will kick off the "2016 Jang Keun Suk Asia Tour: It's Showtime" on Saturday at Olympic Park in southeastern Seoul, according to Tree J Company. Since his debut as a child actor in 1997 with sitcom "Selling Happiness" on HBS, now Channel CGV, Jang has established himself as one of the most popular South Korean singer-actor across Asia. Some of his hit K-dramas includes: "Lovers in Prague" in 2005, "Beethoven Virus" in 2008, "You're Beautiful" in 2009 and "Royal Gambler," his latest drama which concluded on June 14.
is he coming to Malaysia ?